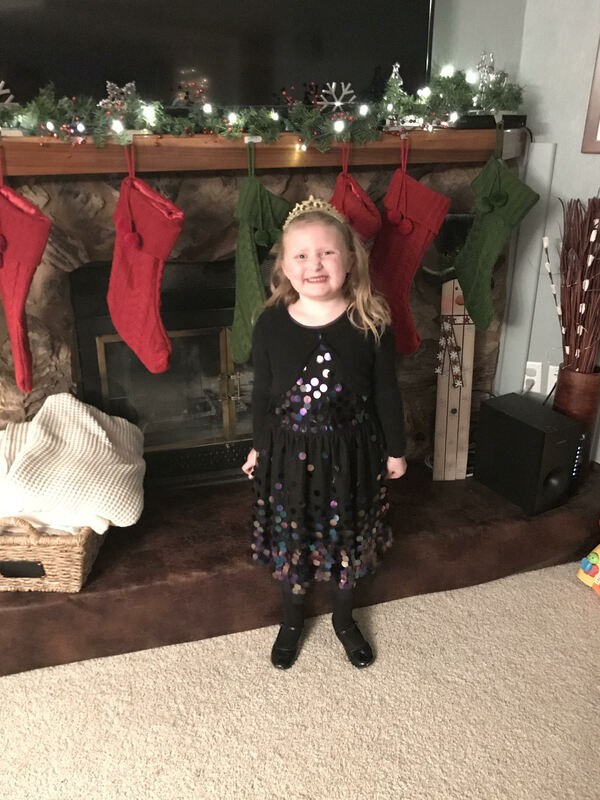 Thanks to Kate Simpson for the guest blog post regarding Chloe’s Christmas Gift. Last year for Christmas my family and I were trying to decide if we wanted to draw names, do a grab bag, or everyone just get each other something. We got to talking about how we really didn’t need anything in particular and that we would rather start giving each other “experiences” rather than gifts, for example tickets to a play together or a movie together etc. We really started talking about how much more meaningful time together had become in the last 5 years since Chloe was born and her start was so unpredictable and scary (AET with catheter ablation-smallest and youngest at that time to have that done) and then a year later my mom was diagnosed with fast growing leukemia (AML) and ended up having a stem cell transplant and how those two things really made us realize we don’t need things…we need our people!!! With all of the reminiscing we talked about how so many people had reached out to us and helped us during those journeys…sometimes people we didn’t even know. The biggest example I kept coming back to was while we were in Iowa City, Trudy brought us a gift card for Texas Road House and said that a family had donated them to the cardiology unit for any family in the NICU with a heart kid! We decided that we really wanted to start paying it forward and so we decided to donate gift cards for Help-A-Heart to hand out to cardiac families who needed a pick me up and some much needed time with their people. If you could hand them out to families who need a night away together I would be so appreciative!!!! Thanks for your help in helping us pay it forward!! !